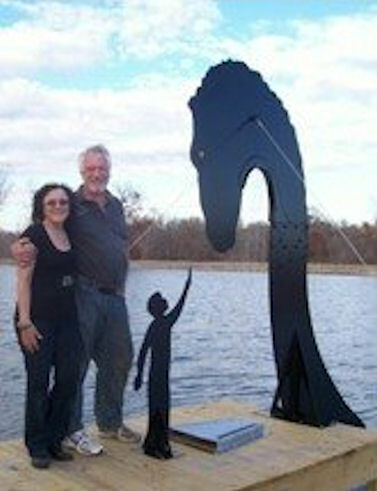 This harp is installed at a winery in southern Illinois, 9 1/2 feet tall made from steel, stainless and titanium. 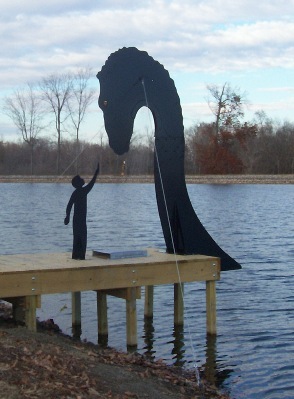 This harp is installed at a winery in southern Illinois, 9 1/2 feet tall made from steel, stainless and titanium. Titanium wires run to sound box attached to the dock. A wide variety of shapes can be made, just call us with your idea and we will quote it for you.